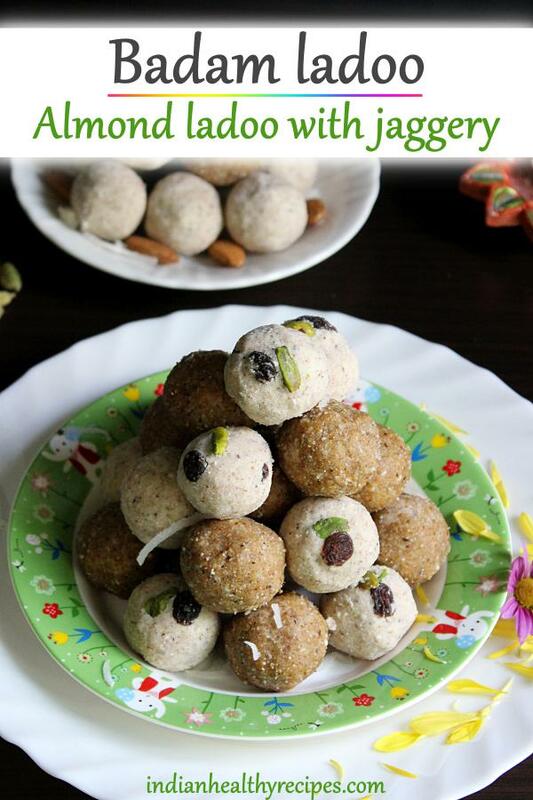 Badam ladoo are healthy & delicious ladoos made of almonds, jaggery, nuts & raisins. 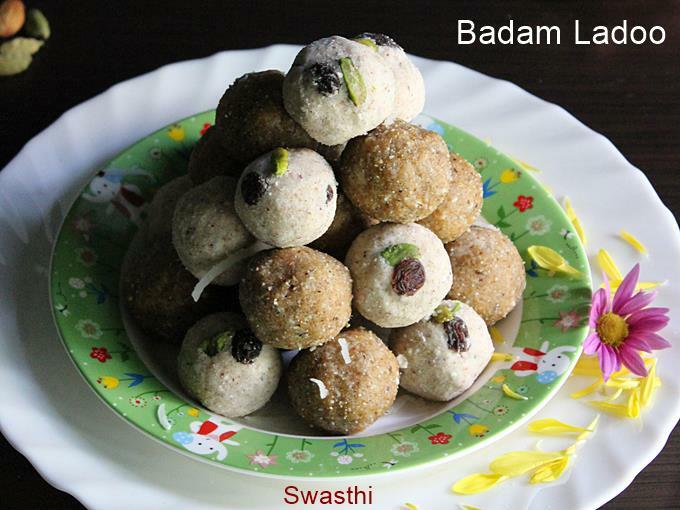 With the festive season around, thought of sharing this quick badam laddu recipe. 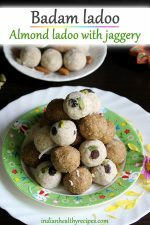 These healthy nutrient dense almond ladoo can be one of the best easy diwali sweets that can be prepared in a jiffy. 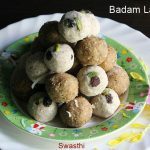 These badam ladoo are made without any additional fats like ghee, oil or even milk. Badam ladoo are made often at home for my kids school box. I also make so many other healthy ladoo varieties like ragi ladoo, dry fruits ladoos, peanut ladoo & sesame ladoo. The method I have followed here can easily be adapted to make healthy ladoos using most kind of nuts like peanuts, pista, peanuts, sesame seeds etc. 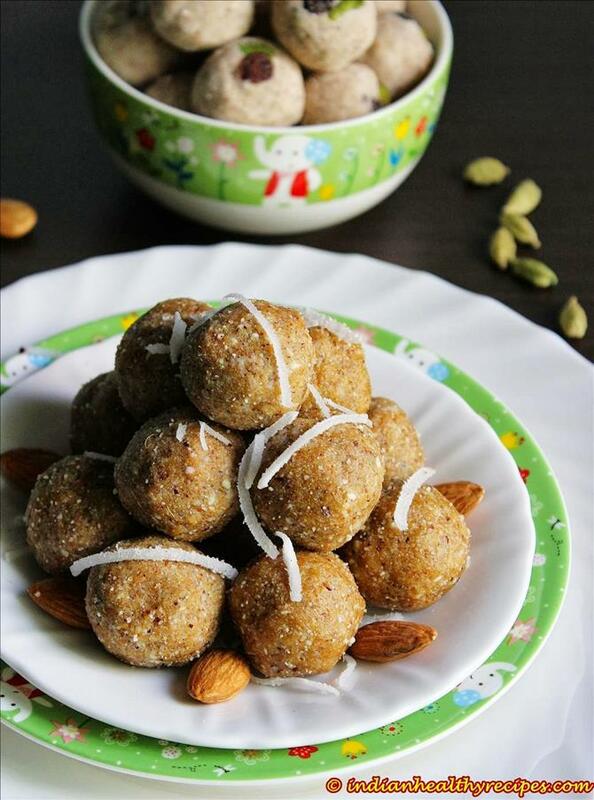 Healthy fats or oils in the nuts help to bind the badam ladoo without adding any ghee or oil. The best part is they can be made using jaggery and can be a great inclusion in your kids diet especially if they are under weight. 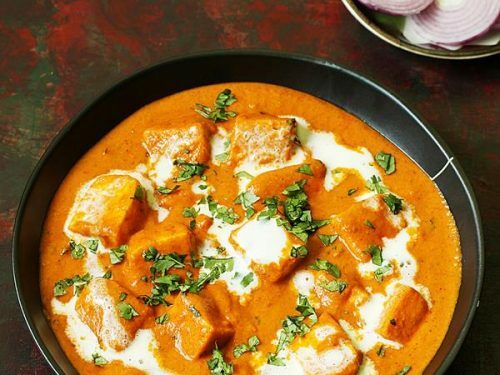 These can be prepared with any powdered sweetener of your choice like sugar, brown sugar, molasses, palm jaggery , coconut palm jaggery or regular jaggery too. To make these badam ladoo, you can use blanched almonds or almonds with skin. Almonds are one of my most preferred nuts. 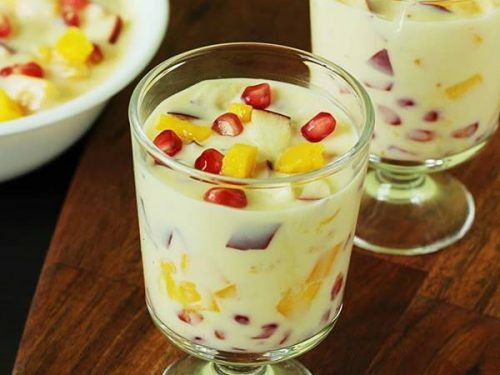 Usually I prefer to make my sweet snacks without sugar, ghee and milk as these ingredients do exist in our diet in many other forms. I made 2 versions of these almond ladoo, one with coconut palm jaggery and the other with sugar. I have used dry coconut (copra) since it is a good source of calcium. It is optional and you can make without coconut too. 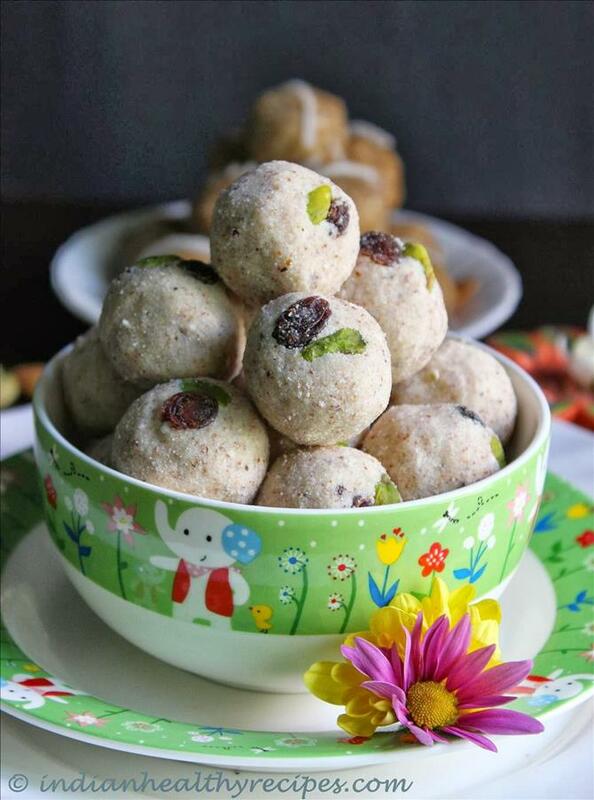 Badam ladoo are healthy & delicious ladoos made with almonds, jaggery, nuts & raisins. Dry roast almonds evenly till you get an aroma. Set this aside to cool. Dry roast cardamoms and coconut till you get a good aroma. 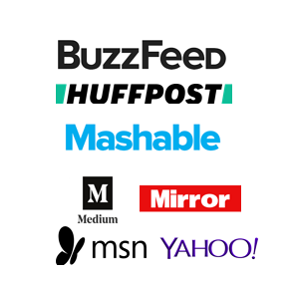 This takes hardly 2 mins. Do not burn or brown it. Set this aside to cool. 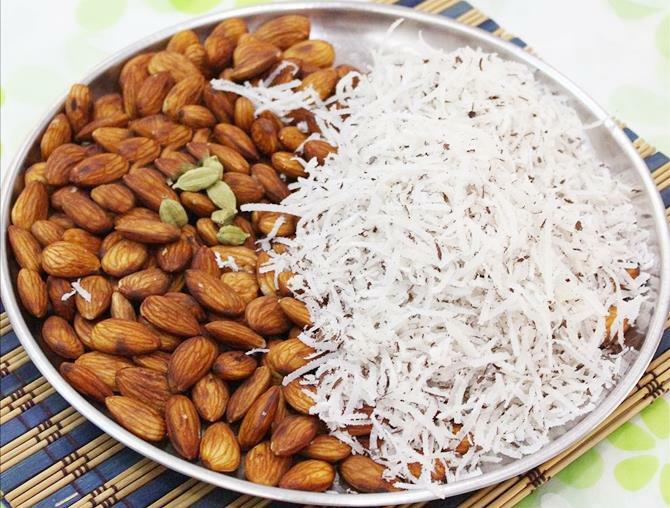 Powder almonds, coconut and cardamoms in a mixer. Set this aside. Powder sugar finely. Next add the almond coconut powder. Run the mixer till the powder becomes warm. The mixture looks oily at this stage. Add the raisins and nuts. Take small portions of this warm mix and roll them to badam ladoo. If the mix cools up, it will be difficult to roll them, so run the mixer again. Dry roast almonds on a medium heat until you get an aroma. Set them aside to cool. Powder almonds, cardamoms and coconut in a blender. 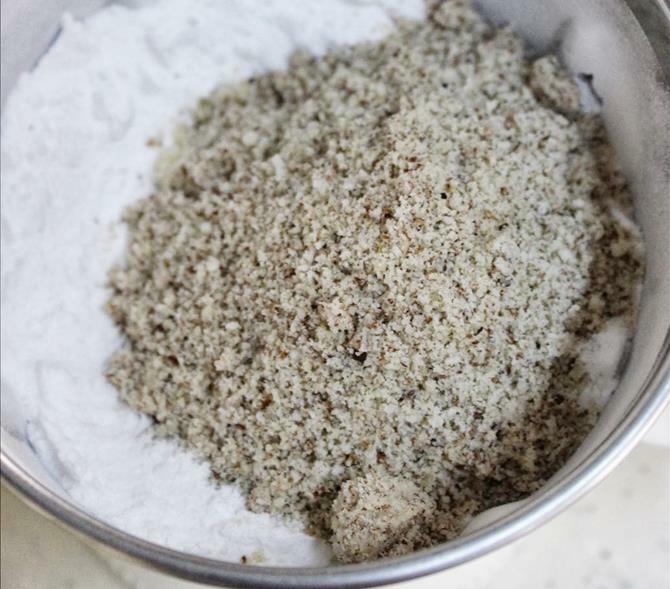 Add jaggery to the powdered almond and coconut powder. Run the mixer till the mixture becomes warm. It looks oily at this stage. Take small portions of this warm mix and roll them to balls. If the mix cools up, it will be difficult to roll them, so run the mixer again to warm up and then repeat. Store badam laddu in an airtight jar. Stays good for about 8 to 10 days if handled with moist free hands. i doubled the recipe and made 2 batches, one using sugar and other using coconut palm sugar. 1. 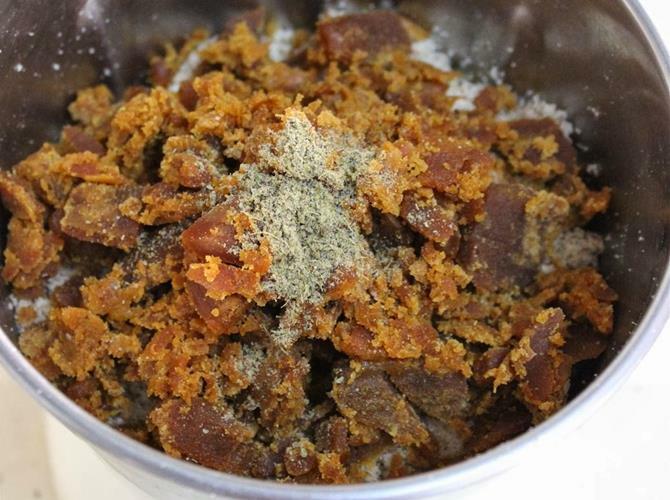 Grate the jaggery or coconut palm sugar. 2. Dry roast almonds until aromatic. In the same pan, roast coconut and cardamoms just for 2 mins. Set aside to cool. 3. Powder them in a blender. 4. 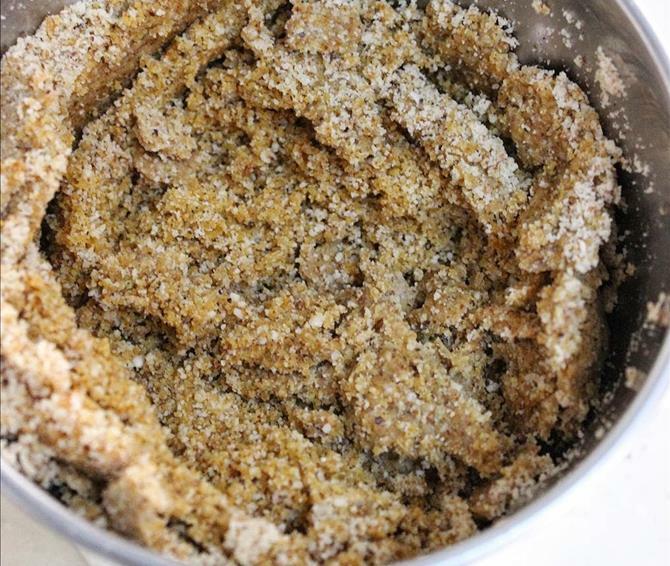 Add grated jaggery and cardamom powder. I used more cardamom powder. 5. Run the blender until well mixed and the mixer becomes just warm , not hot. 6. 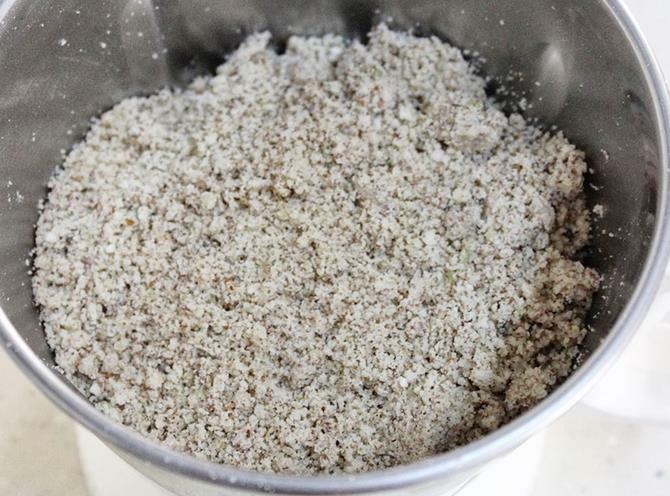 Roll the mixture to badam ladoo while the mix is warm. 1. If making with sugar, set aside the coconut and badam powder. Then powder the sugar. Add back the badam powder. 3. 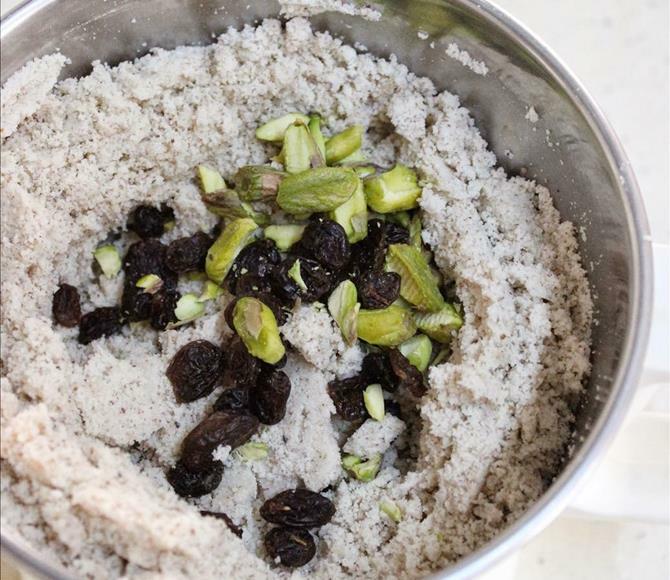 Add the nuts and raisins. Roll the mix to balls when it is warm. You can also add some hot ghee if the mixture doesn’t bind. I did not use ghee. Store badam ladoo in air tight jar. The sugar ones are very delicate and just break up while eating since there are no added fats to bind the ladoo. But they are great to pop one at a time into your mouth while you are busy. You can add little hot ghee if you wish to. I have used dried coconut known as copra. If you don’t get that you can use desiccated coconut. Fresh coconut tastes good but will spoil the ladoos too fast. Yes you can give them. If possible blanch and remove the skin of almonds, then roast them. The skin of almonds is not good for digestion. You can check this link to know how to blanch them. I make these often for my kids. At room temperature they keep good for 2 weeks. 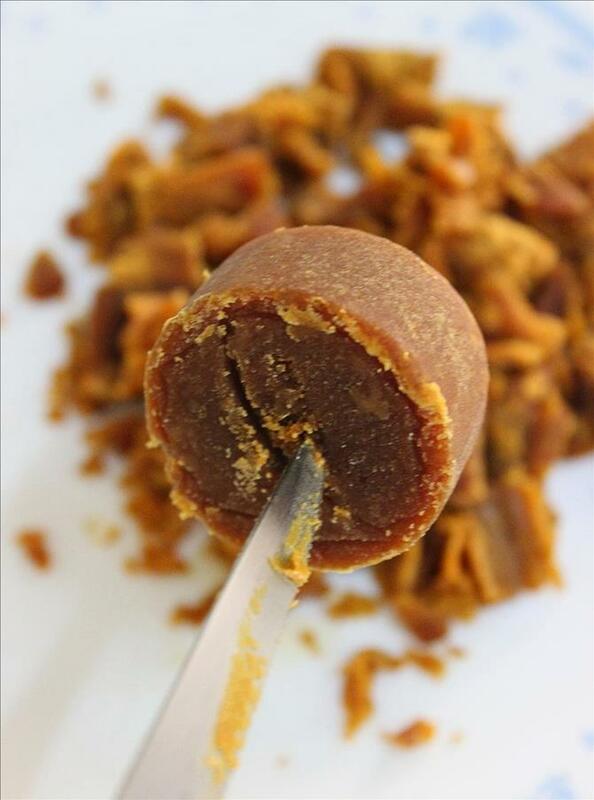 It also depends on jaggery, some times jaggery begin to release moisture after 2 weeks. So it is good to finish within 2 weeks. 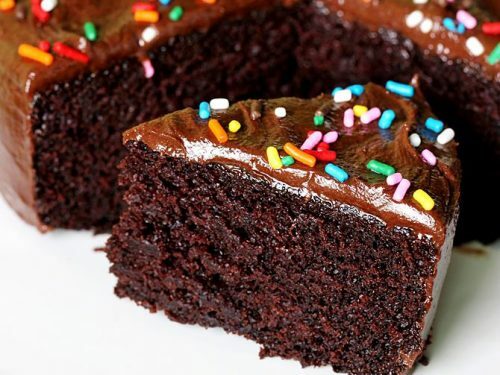 Thnks a lot for ur quick revert….i shall surely try th recipe for my son nd let u kno th results…. Hi..tried your recipe. Was an instant hit with my kids n hubby! Very easy n can be prepared in a jiffy..tried quite few of ur other recipes too..simply wonderful for workinh mothers like me.thank u!! 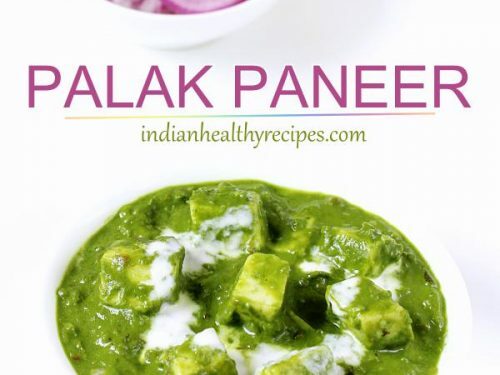 I am vegan and I liked all recipes with out ghee and milk.. can you please upload more of vegan recipes. In almond yogurt do I need to add other milk yogurt. Is there any other options. 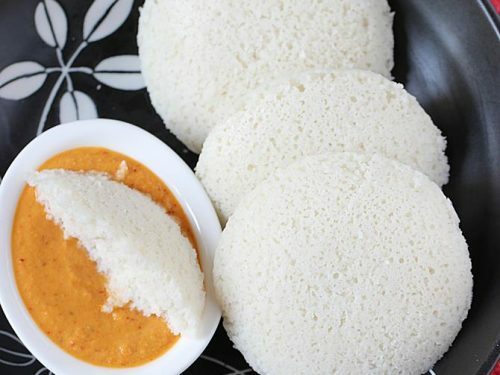 Hi Swathi,Thanks for sharing such a lovely yummy recipe,which u have explained in an easy way.Can I know is there any substitute for dessicated coconut?Kindly reply.. 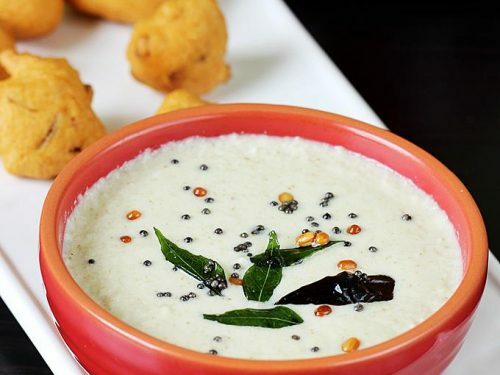 Thank u.
Hi Swathi,Thanks for posting such a lovely yummy receipe.U have explained it in a simple way..I just want to ask u whether I can avoid using dessicated coconut in this..Is there any other substitute? Kindly reply.. Thank you.. I was looking fr such yummy n healthy sweets. thanks alot n thy were very tasty. my bro liked it (almond ladoo) too much. thank you! Iam glad you liked the ladoos.